Losing your job is always hard to accept, but receiving a redundancy payout can sometimes make that pain not so deep.But when the company you work for becomes insolvent you can suddenly be faced with the realisation that you may walk away with nothing. When a firm goes into insolvency it means they have run out of money and do not have the money to pay the debts that they owe. This could mean wages, business debts or general day-to-day costs of operating the business.When a company reaches this point an insolvency practitioner or official receiver is normally called in. Insolvency is not always straight forward though and there can be a number of different types of insolvency. If the company you work for is a limited company it will go into what is known as administration, or liquidation, which means it is entering into a voluntary agreement with creditors to try and pay off some of the debts that are owed.If you work for a one man band the individual will have to file for bankruptcy or enter into a voluntary arrangement. 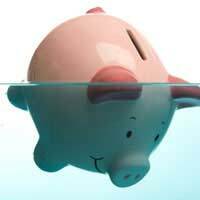 Unfortunately when a firm enters into insolvency there is not a lot of money left so there is a risk you could receive no redundancy or even your last pay packet.Administrators will normally try to pay staff their wages or some compensation where applicable. The official receiver should notify all employees of what has happened and give you some forms to fill in so you can recoup some of the money that is owed to you. Any claim you make will be sent from the Redundancy Payments Office and HM Revenue & Customs. Your old employer should be able to tell you who is acting as the administrator if you do not already know. There are measures in place by the government to try and make it so that everyone who works for a company that goes into liquidation gets some basic payoff. If your employer has gone into liquidation then the best advice would be to try and claim as much as you can, you have nothing to lose. If you have worked at the company continuously for two years or more you will be entitled to claim some redundancy money. This will normally work out at around one weeks pay for every year that you have been there, policies can change though.You can also claim up to a maximum of eight weeks wages if you feel these are owed to you, you will need to fill out a variety of paperwork, but don’t be afraid to try and claim what is yours. If you still had some holiday outstanding you should be able to claim these as days owed to you. Your ex-employer and you personally should have a record of what days you have taken and how many days you have left.If there was no money left in your company the administrator will only be able to pay you up to £350 as a week’s wage. So if you were earning a lot of money do not get your hopes up that your payout will match what you were earning. Many people feel a sense of loyalty towards the companies they work for, so it can be emotionally hard to come to terms with the fact that firm has gone into administration and you may be faced with nothing. It is important though that you speak to the administrators and claim back as much as you can, you may not receive as much money as you would like, but you should certainly receive enough to keep you tied over for a short while. Hi, I am being made redundant and want to know if a payment in lieu of my Company health insurance cover should be included in my redundancy package payment, please?Thanks. @J - I suggest you speak to Acas on this subject via the link here . I hope this helps. Hi my partner handed in his noticed in November last year. He was working 4 weeks noticed. 3rd week into the notice he was told my his boss he was putting the company into liquidation. My partner still hasn't been paid but has just been told he has to pay back the dividens he got but he has never signed a letter or been advised of the companys finances.he was not in charge of the company at all.Is he liable to pay this back?